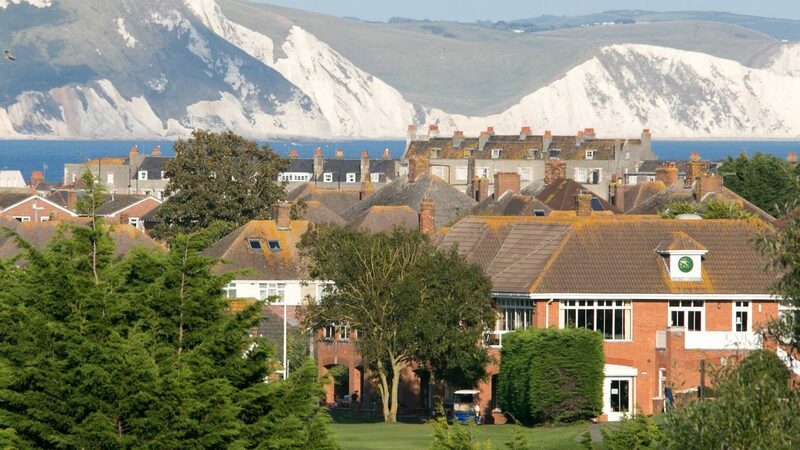 Weymouth Golf Club is a wonderful 18-hole parkland course designed by James Braid which opened in 1909, which also has spectacular views of the Jurassic coast. The club is especially friendly and you would be assured of a very warm welcome. Playing golf in the morning, enjoying lunch in the Hardy Restaurant, a beer on the veranda overlooking the golf course after followed by an afternoon on the beach, what could be better? Although not long by today’s standards at just over 6,000 yards it is a true test for all levels of golfer. Many of the tee shots are risk or reward the choice being yours, as you can score well with either choice if you get it right. Easily accessible from M3, M4, M5 and A34 to the A31. There is lots of accommodation from BBs to guest houses and hotels in and around Weymouth, so why not take a break and visit Weymouth where golf sand and sea meet for that memorable day or weekend break. Call the club for further details. Chipping and putting practice areas, driving range and a competitively priced golf shop for all of your golfing equipment needs.